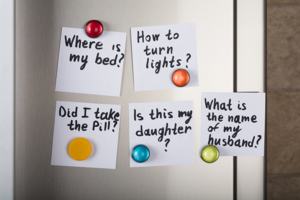 Learn tips to address aging parent’s safety at home. The initial signs may be so subtle that most people wouldn’t even notice. 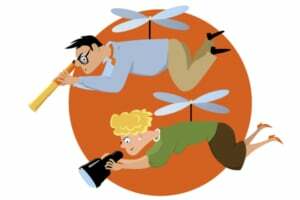 Mom is outgoing, friendly, and conversational while visiting friends and family and while running errands. But those closest to her are beginning to pick up on concerns; like forgetting about the soup cooking on the stove, leading to a scorched pan; putting her keys in the cookie jar; or neglecting to pay bills. As an adult child of a senior in the beginning stages of compromised safety or the ability to make sound decisions, it can be extremely challenging to transition to a higher degree of involvement and care – yet it’s also extremely important to take steps sooner rather than later. 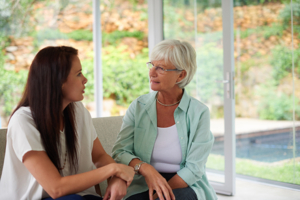 As with broaching any confrontational topic of conversation, talking with your senior loved one about the concerns you’re seeing is likely to be met with resistance and defensiveness at first. However, it’s important to outline the precise reasons for your concern, and the negative consequences if these behaviors continue or worsen. Ensure that a durable power of attorney has been assigned. 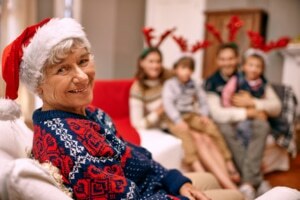 Confirm with your siblings that the issue needs to be addressed, and discuss together what options are available for the senior’s care as needs continue to progress. Remain compassionate but firm in your approach. Present the choices you’ve thought through. 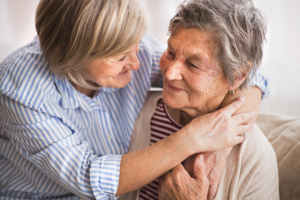 If your parent balks at the idea of moving to an assisted living facility, which many seniors do, offer an in-home caregiver as an alternative, allowing your loved one to remain independent and safe in the comfort of home. Understand that it will likely take several conversations before your loved one accepts the need for assistance – which is why it’s essential to begin the process as soon as possible. Whether the need is for just a few hours each week to enhance safety and socialization, full-time care, or anything in between, partnering with Responsive Home Care improves quality of life for seniors and provides peace of mind for those who love them. Contact us online or call us today at 954-486-6440 for a free in-home consultation to learn how we provide the kind of senior care Fort Lauderdale, FL families recommend most! 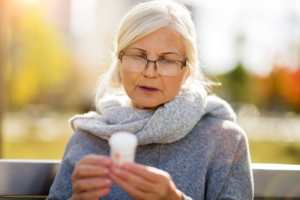 Learn more about the two most common medications for Alzheimer’s disease treatment. The most recent Alzheimer’s statistics are sobering. The disease is now the 6th leading cause of death, rising above both breast cancer and prostate cancer combined. And while deaths from other chronic conditions, such as heart disease, are declining, those from Alzheimer’s have increased by more than 100%. The toll the disease takes on family caregivers is equally staggering, with over 16 million Americans providing over 18 billion hours of care for a loved one with Alzheimer’s. Cholinesterase inhibitors: By blocking the breakdown of acetylcholine, a chemical crucial for memory, attention, learning and muscle activity, these medications can provide some benefit in the mild to moderate stages of Alzheimer’s for some patients. Dr. Zaldy Tan, medical director of the UCLA Alzheimer’s and Dementia Care Program, cautions, however, to keep in mind that results will be moderate at best. 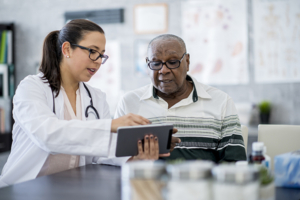 “The best case scenario is that the patient’s memory and cognitive function may improve slightly to what it was six months to a year ago – it’s not going to turn back time,” he explains. Included in this class of medications are galantamine (Razadyne), donepezil (Aricept) and rivastigmine (Exelon). Memantine: In the moderate to severe stages of the disease, the doctor may prescribe memantine (Namenda) which takes a different approach than the cholinesterase inhibitors, preventing the overstimulation of glutamate NMDA receptors which in turn can help restore limited memory functionality. Doctors will often add memantine to a patient’s treatment plan in addition to a cholinesterase inhibitor as the disease progresses. Determining the effectiveness of these medications requires patience, as both take 4 – 6 weeks before results will be realized. And, it’s important to weigh the benefits against any negative side effects, which can include confusion and constipation in memantine, and nausea, vomiting and a decreased heart rate with cholinesterase inhibitors. 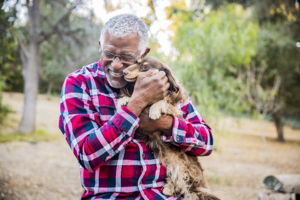 One of the best ways to help those with Alzheimer’s disease live life to the fullest is by engaging the services of a specially trained caregiver who understands and can help manage the varied challenges of dementia. Contact Responsive Home Care online or call our care team at 954-486-6440 to learn more about our professional, compassionate services for seniors and how we provide the kind of dementia care Florida families recommend most. Use these tips to make caring for elderly parents and maintaining your marriage less stressful. 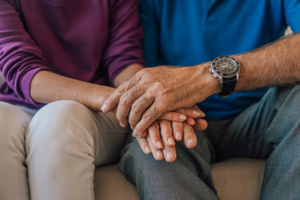 In marriage we agree to stick together for better, for worse, for richer, for poorer, in sickness and in health – but what doesn’t come up in our vows to each other is how to handle the increasing demands of senior care as our parents age. Finances. Still holding the top spot for the reason cited for divorce, financial strain is magnified when the older parent has not implemented a financial plan for long-term care. Honestly communicating frustrations with each other and working together to explore options to pay for services can help. Fatigue. As rewarding as it may be, meeting the needs of an elderly loved one requires a great deal of time and energy – leaving little left over at the end of the day for your spouse. Accept opportunities for assistance from others or hire professional in-home senior care help such as Responsive Home Care, so you can be sure to allow for quality time with your spouse. Frustration. Mounting frustration and diminished patience are two common side effects of fatigue, and sadly, we tend to lash out at those we love the most when feeling overwhelmed. Allow imperfection, practice understanding, and seek professional help if needed. Make sure your spouse is always a top priority. Small gestures can go a long way towards this end, such as writing a note of love and appreciation, waking up a few minutes early to share a cup of coffee together before the day becomes hectic, or setting aside time at the end of the day to talk and unwind. Joining an online support group for family caregivers can allow you the opportunity to vent frustrations to those in similar circumstances, alleviating stress. Seek out the services of a professional counselor, either for you individually or for the two of you as a couple. Another great way to achieve a healthy life balance is through partnering with a trusted in-home care provider, like Responsive Home Care. Our team of Ft. Lauderdale caregivers offers customized respite care solutions that allow family members to take time away from parental care, while offering seniors the opportunity for enhanced socialization with a friendly and fully-trained caregiver. Contact us online or call us at 954-486-6440 to explore our Ft. Lauderdale senior care options today! 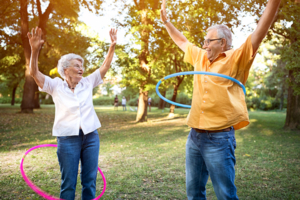 It’s so easy to fall into a more sedentary lifestyle in our later years, especially if aches and pains from aging muscles and chronic conditions such as arthritis are a factor. But new research shows that even short bursts of high-intensity exercise – less than 15-minute intervals – can make a significant difference on the health and wellbeing of older adults. Case in point: a recent study of adults over age 55 involved briskly walking for three minutes, followed by slower walking for another three, resulting in better blood pressure and stronger endurance levels than walking at a steady, moderate pace for the same duration. Testing on frail, sedentary laboratory mice equivalent in age to 65-year-old humans showed that a program of high-intensity interval exercise on a treadmill, three times weekly over a period of four months (equivalent to eight human years) were stronger, had greater muscle mass and endurance, and were more active than their sedentary counterparts. 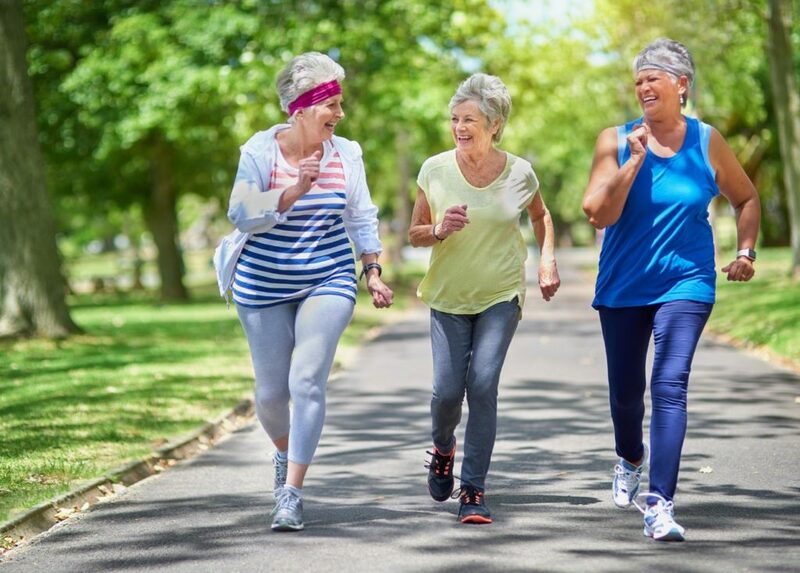 Responsive Home Care’s Florida senior care services team urges seniors to check with their physicians for approval to begin a high-intensity exercise program, or other activities to enhance health and wellbeing and improve the condition of aging muscles. And our care team is happy to help implement and provide the encouragement to enable seniors to stay on track and reap the rewards. Contact us at 954-486-6440 for assistance!